In order to push crime rates to an all-new low of 1 percent for the rest of the year, the New Founding Fathers of America agreed to have an experimental purge one night of the year. It would take place in an isolated community. A night where all crime was legal. This night took a horrific and gory turn for the worse. The government got very involved and took things into their own hands. Comparing this movie to the rest of the series, I’d say I definitely enjoyed it the least because it was way too gory and corny. I liked the angle that producers and directors tried to make but it wasn’t executed properly. I think it was poorly made with many cliches and amateur pop up scares. The storyline itself was very good, appealing and scary enough. The rest of the effects were just too much to handle. 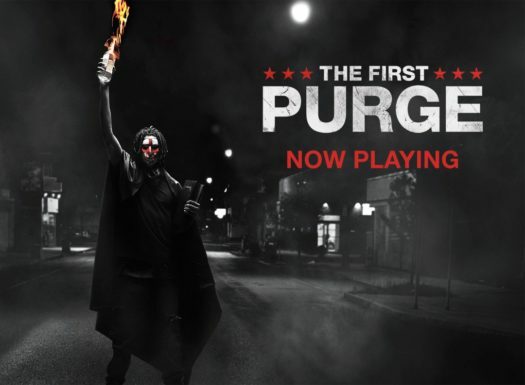 The First Purge stars many upcoming new actors including Y’Lan Noel, Lex Scott Davis, Marisa Tomei and Siya. This movie gave them a good start in the acting world. Overall, it was definitely a memorable movie with a few mishaps.